It's a little cool out on the jetties this morning with temperatures in the high 50's. Winds are blowing out of the North-Northwest at 10 mph and gusting to 15. We are experiencing a cold snap, which could be the last of the season. Temperatures have started to drop and are forecasted to continue. By Sunday and Monday, we should see temperatures in the low 60's during the day and high 30's at night. A little change in weather pattern usually gets the fish invigorated, let's hope it happens this time. Fishing remains on the slow side. Sheepshead, Spanish Mackerel, a few Blues, Jacks and small Snook have been biting, few and far between. 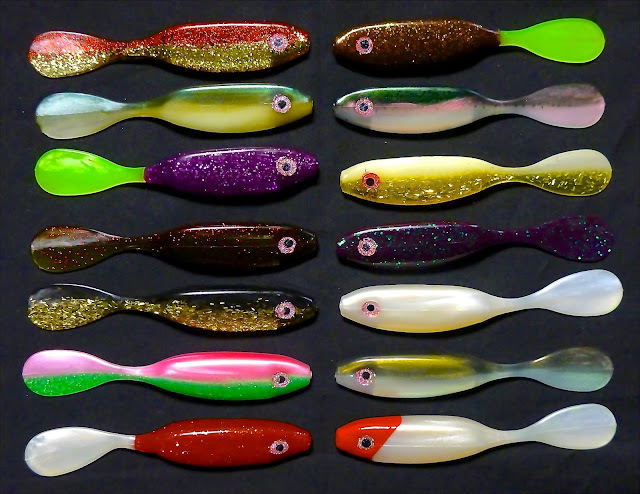 Spanish Mackerel and Blues will take silver and gold spoons, Sheepshead prefer crustaceans. Jacks will take just about anything. Our first angler today is Ponce Perone of Inverness. Ponce fished the north jetty landing this good sized Pompano. Photo two features Cado Simas of Vero Beach. Cado landed this sweet 29" Black Drum off the north jetty. 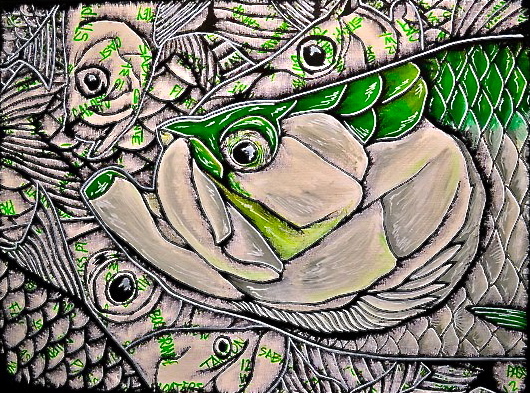 This is a sample of a new piece from Eric Estrada. It's a beautiful morning at the Sebastian Inlet. Winds are blowing out of the Northwest at 5 mph and gusting to 10. There is a light chop on the water. 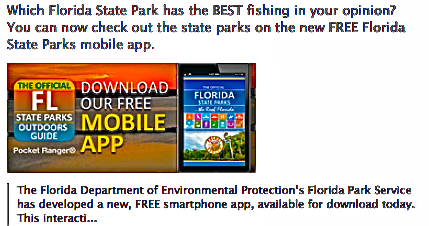 Fishing is still on the slow side, but patient anglers may get a Sheepshead, Blue, Spanish Mackerel, Black Drum, Margate or Jack. Oversized Reds and Sharks are hitting at night. Brooke Ashley of the Sebastian Inlet Bait and Tackle reported a gentleman came into the shop who had landed a 17" Blue and a 20" Spanish Mackerel on a spoon this morning. Our first photo is of Richard and the 24" Black Drum that was on the line. Richard was using an artificial shrimp. Our next photo today is of "Big Dave" Hartwell. Dave was fishing the south jetty when he landed this small, but keeper sized Spanish Mackerel. Dave said he would probably use it for Shark bait later that evening. 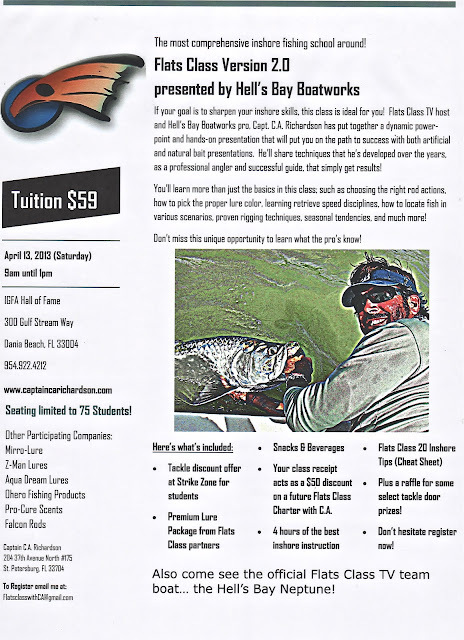 Guide Hai Truong of (Urban Angler Miami). INSHORE - Look for good trout action at places like Bear Point, Midway Road and around the Big Mud Creek area. A live shrimp fished under a popping cork will do the job. Also, try live greenies or pilchards and free line them in 2 to 4 feet of water. If it is redfish you are looking for then try the dock along both north and south Indian River Drive. Try a live shrimp on a 1/4oz. trol-rite. There will be plenty of sheepshead around the docks too and the will be taking the same baits. The snook bite remains steady at the local bridges and in the Ft. Pierce Inlet on the tide change. 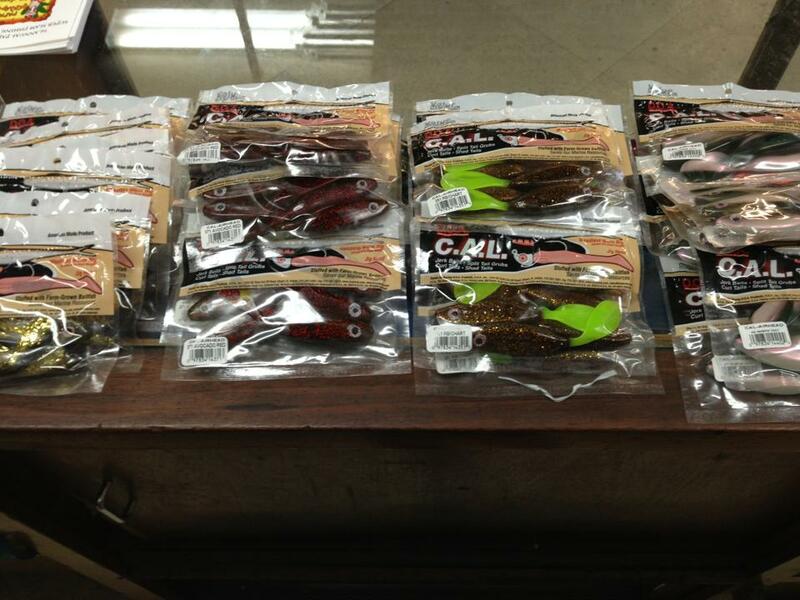 Try a live bait or a jig. It's a breezy morning at the inlet. Winds are blowing out of the South-Southwest at 17 mph and gusting to 24. The water is choppy and a small craft should exercise caution. We are seeing the usual cast of characters at the inlet, Sheepshead, Black Drum, Blues, Spanish Mackerel, small Snook and Jacks but none in large numbers. One's and two's of this and that. 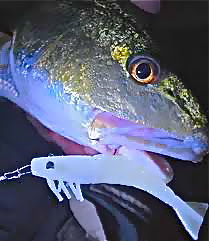 "Big Dave" Hartwell reported that the night time bite has been good for oversized Reds and Sharks. Photo today is of Paul Sujdak who was surf fishing south of the south jetty using cut Bluefish for bait on a 2' metal leader, followed by 2' of 80 lb. monofilament with 750' of braided line on a Fin-Nor 7500 OS reel and a 9/0 circle hook. The 6' 1" Black Tip ran for about 150 yards before Paul could stop him, but surprisingly enough, the big guy was landed in 15 minutes. The photo shows Paul and Rich measuring the Shark before releasing it. The inshore fishing was good yesterday with some nice red fish to the north around queens cove with some trout mixed in,To the south the trout fishing remains good around bear point to the power lines. Snook fishing was ok on the jetty and around the bridges on jigs and live bait the bite should pick up with this cold front at the end of the week. The south jetty had some nice pompano and flounder on the out going tide. It's another beautiful morning at the Sebastian Inlet. This morning, winds are blowing out of the Southwest at 7 mph and there is a light chop on the water. Fishing has been on the slow side, February isn't notorious for its great bite, but the weather couldn't be better! Over the weekend Sheepshead were the best bets at the inlet, although they weren't landed in big numbers. A few Black Drum, Reds, Blues, Spanish Mackerel and small Snook were landed. There just hasn't been a lot to get excited about. Our first photo today features Tony Andrade of Poinciana. Tony landed his oversized Red using sand fleas, which is not unheard of, but not their usual choice of bait. This beautiful Red was released right after the photo. Photo two is of Phillip Ping of Orlando. Phillip and his buddies were at the inlet fishing for Snook, but that wasn't happening, so they switched to Sharks....they were definitely happening! There have been a lot of Sharks cruising around the inlet lately! We just got over the last cold front and hopefully it will be the last one for us. 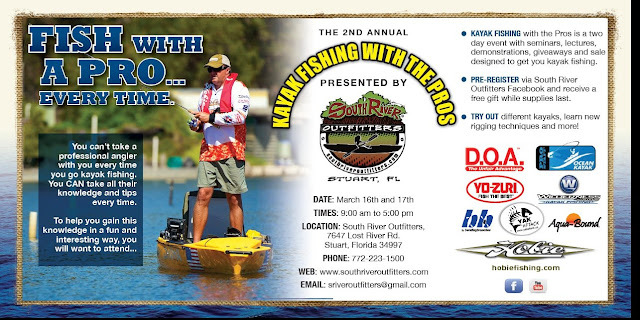 Spring is arriving on the Treasure Coast and will bring warmer water that will get the fish in the mood to feed. Water temperatures dipped down into the low 60's, but have been warming up the past few days. 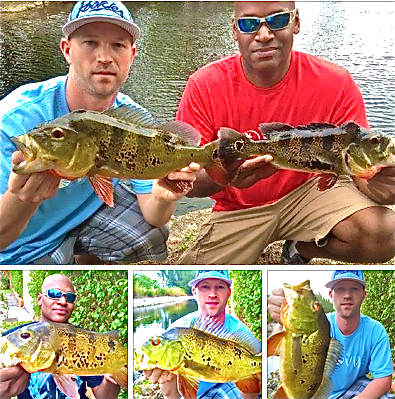 Fishing has been good and we have enjoyed a nice variety of fish on each fishing adventure. It has been a busy week and we enjoyed some nice weather on most days. Trout fishing has slowed somewhat with the cooler water temps, but they are warming back up and they should be biting in the next few days. We have had nice success using DOA CAL jerk baits in darker colors for the sea trout. As Spring settles in on the area, you can be sure that things will heat up around the Treasure Coast. One thing that the cold front did provide us is the pompano arrived in numbers around the river. 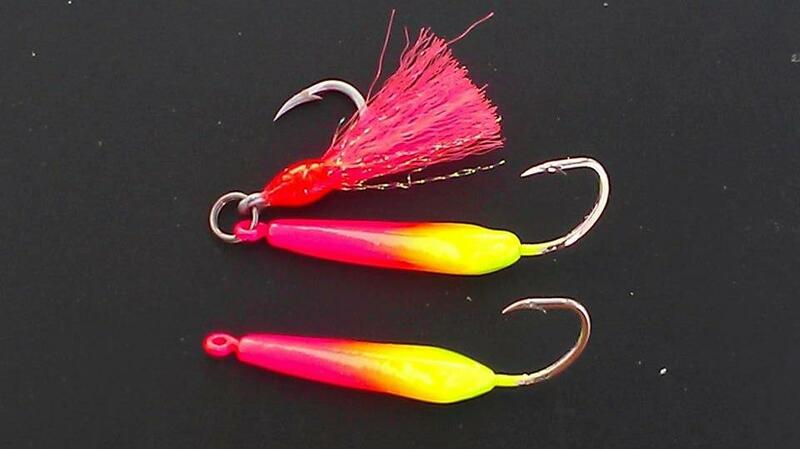 We have been finding most of them around sand bars using Doc's Goofy Jigs. 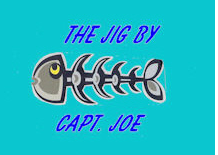 Of course, you have to deal with multiple ladyfish, jacks and bluefish while fishing for them. Sheepshead and black drum are still thick around the bridges and docks along the river. 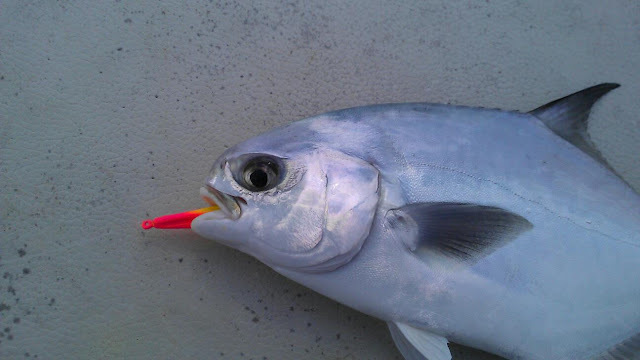 The surf has been holding whiting, bluefish and some pompano. Nighttime fishing for snook has been good around the jetties. You can find bluefish, mackerel and jacke on the incoming tides around the inlet. One nice thing about the Treasure Coast is no matter what the weather, you can always catch fish somewhere. As Spring arrives, expect more windy days through March and April. Plan you trips to utilize the winds to your advantage as much as possible. 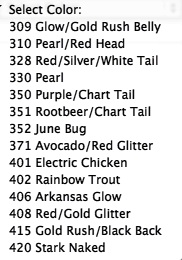 February has been a productive month and I expect March to be even better for fishing around the area. 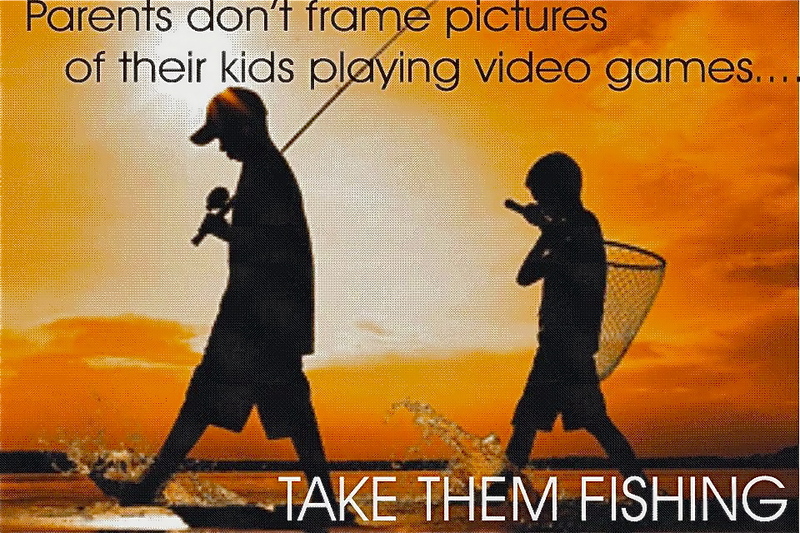 Have some fun and get out fishing soon! Fishng the docks along the river has remain steady with sheepshead, blackdrumand snapper action. Fish the mangroves and the spoil islands for trout and redfish. 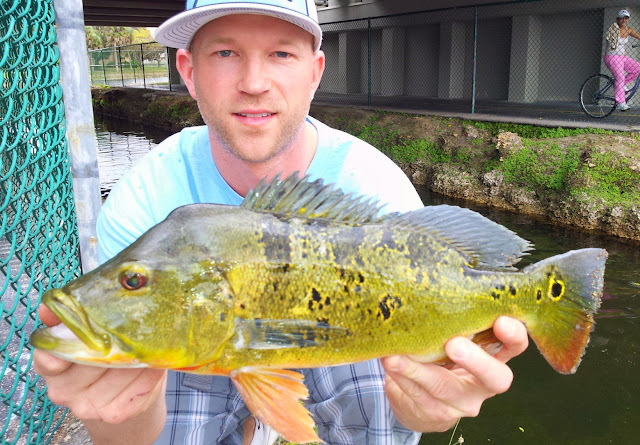 The jacks and ladyfish have been plentiful back in the Sebastian river along with over size reds. 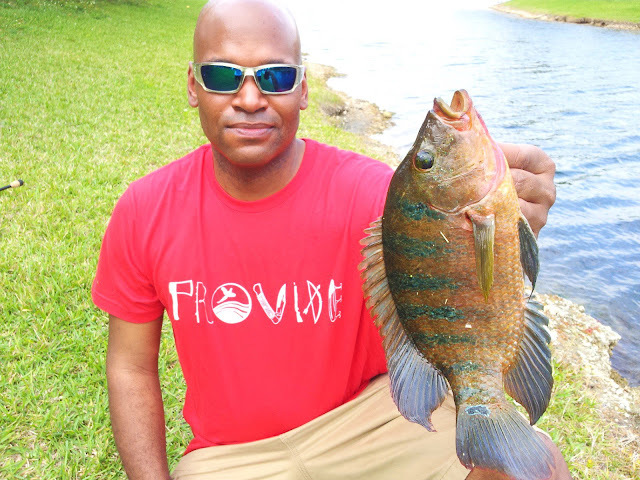 Fish the clam leases and the Wabasso bridge for pompano! The snook are being caught on a incoming tide using live shrimp or plugs. Over sizereds coming over the rails, use live shrimp or mullet. Spanish mackerel, sheepshead, black drum, blues, pompano and shark has also been the catch this past week. Pompano, small whiting, shark, jacks and spanish mackerel has been the catch off the beach this past week. It's going to be a beautiful day at the Sebastian Inlet. Winds are blowing out of the South-Southeast at 6 mph and there is a light chop on the water. 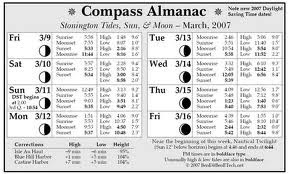 We have a nice weekend forecasted; always check the coastal forecast before venturing offshore. 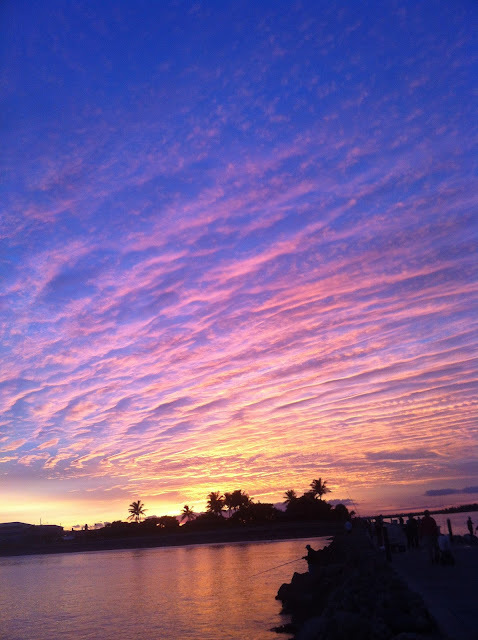 We received an update and a couple of photos from inlet regular Mike RIcciardi of Vero Beach. Mike was on the north jetty yesterday morning and reported a crowded jetty at 6:45 a.m.! Mike didn't do very well, he had a couple of nibbles but that was it. There were 4 - 5 Snook hook-ups and a couple came over the rails that were over the slot. A total of 4 Black Drum, 4 - 5 undersized Sheepshead, a few Jacks, a few Blues a 2 Spanish Mackerel were landed through 11:00 a.m.
Our first photo features Lauren Barone of Fellsmere and Pablo Sarmiento of Vero Beach. Fishing the north jetty, they landed these nice Sheepshead off the north jetty while using sand fleas. 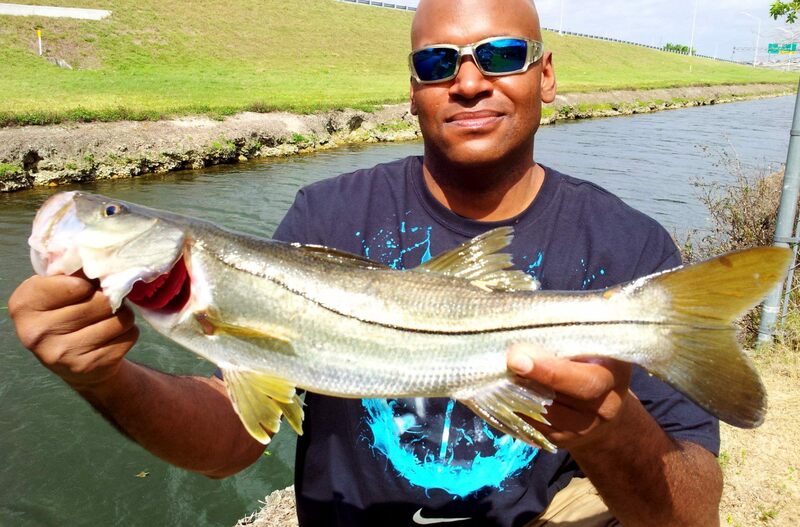 Our second photo today features Earl Truman of Vero Beach with a 35" C/R Snook he landed yesterday. The Snook was released unharmed after the photo. Photo Three is of inlet regular Sonny Advincula of Kissimmee with a Black Drum he landed yesterday morning off the north jetty. Our last photo is of Thang Nguyen of Orlando with a Shark he landed and released from the north jetty. 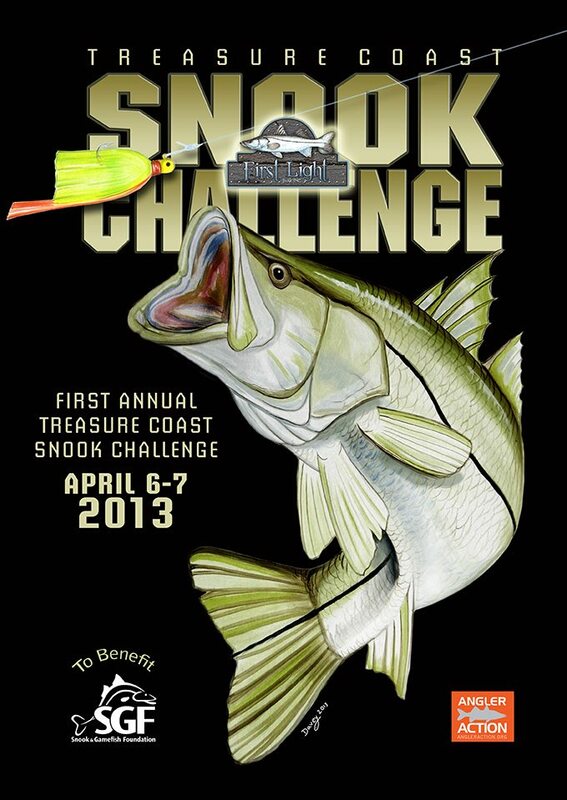 There has been a bunch of Snook caught at the bridges on First Light Jigs and Buck Nasty Jigs. The snook have also like the Unfair Lures Large "Stick Minnow" There has a some Trout caught on the Doa Clear/Gold Glitter 1/4 ounce Shrimp with or without a popping cork. 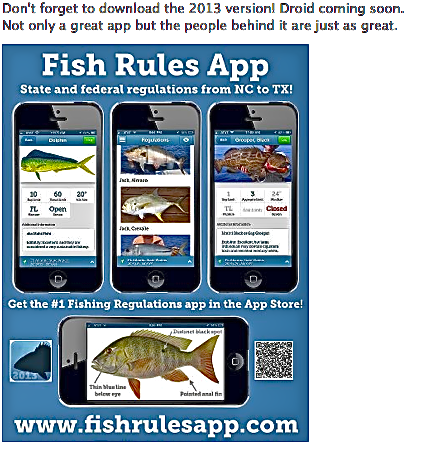 Many have also been caught on Bass assassians and Unfair Lures own "Rip n Slash". As always try Live Shrimp on a Jig Head for great results. There have been a few Redfish being caught some near the "Hole in the Wall" at the St Lucie inlet and many just north of Jensen Causeway on the East Side . It's a gorgeous morning at the inlet. Winds are blowing out of the North at 5 mph and there is a light chop on the water. We will probably see the wind pick up a little this afternoon. We are still seeing Sheepshead in pretty good numbers, Blues, Whiting, small Spanish Mackerel and some smaller Fat Snook which have been released. The Fat Snook is shorter than the Common Snook and rarely exceeds 20", most range between 12" - 16". Big Reds have been active in the evening hours along with Sharks. Our first angler today is Bob Filbrun of W. Milton, Ohio and landed several nice Sheepshead using shrimp. Our second photo today features inlet regular Spiro Stathopoulos of Malabar. Spiro landed this 26" slot Red off the north jetty using shrimp. Photo three features Vinh Bui of Orlando. Vinh landed his second 29" slot Snook using a homemade bucktail. Our fourth photo is of Thang Nguyen of Orlando with a 31" C/R Red he landed off the north jetty using a homemade bucktail. The Red was released unharmed right after the photo. Our last photo today is of Phillip Ping of Orlando with a Shark he landed off the north jetty and hauled to the beach for release. The river fishing has picked up a little with the water warming up there has been trout to the north and to the south around the islands and a few redfish mixed in. The snook fishing at night has been a little slow with a few fish at the jetty on jigs and the inlet on live bait. The south jetty has had some nice flounder around on the outgoing tide. The trout fishing was good yesterday around bear point with a few pompano mixed in. The south jetty had some nice flounder and blue fish around during the day on the outgoing tide, The snook fishing at the jetty continues to be good at night on jigs on the outgoing tide. 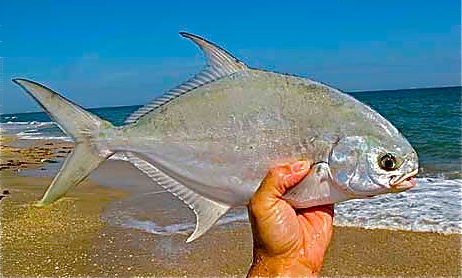 The beach fishing has been good south of the power plant with some nice pompano sand fleas are the bait of choice. We have a beautiful day ahead of us today, this morning winds are blowing out of the South-Southwest at 5 mph and there is a moderate chop on the water. 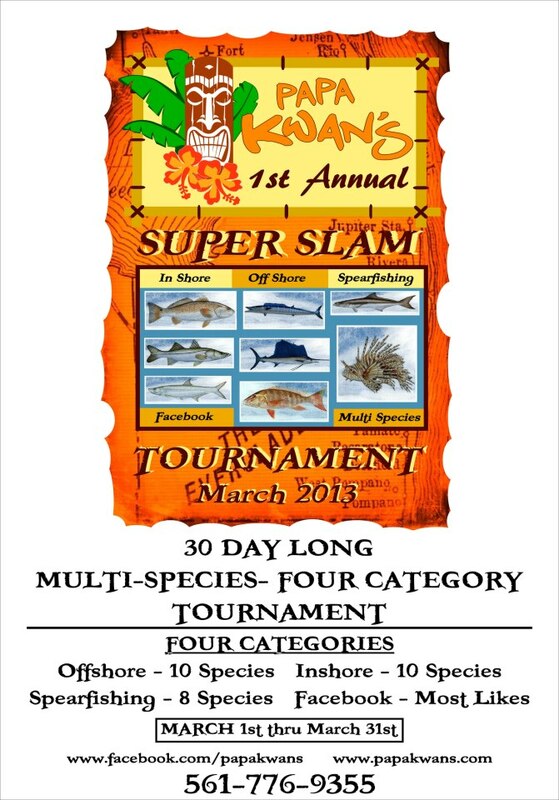 Brooke Ashley of the Sebastian Inlet Bait and Tackle shop reported that the usual cast of characters were hanging around the inlet. Sheepshead, Blues, Jacks, Spanish Mackerel, Reds and Sharks have been making appearances. 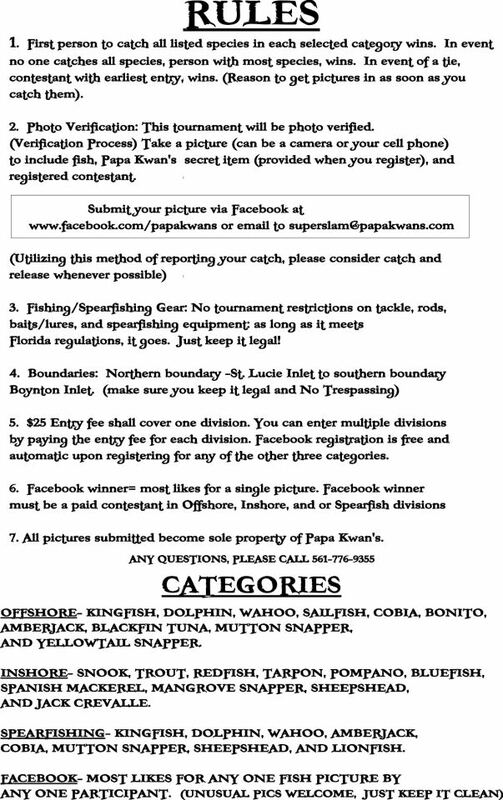 We received a photo and an update on Sunday morning's activities off the north jetty from Shawn Ramsey of Vero Beach. Shawn reported 15 Redfish were caught and released, all over 20 lbs., and all were landed on bucktails. Shawn's fish was around 25 lbs. and 40", which was safely released after the photo. Our second photo today features inlet regular "Big Dave" Hartwell. Dave had a very good morning with eight nice sized Sheepshead, all landed on sand fleas. 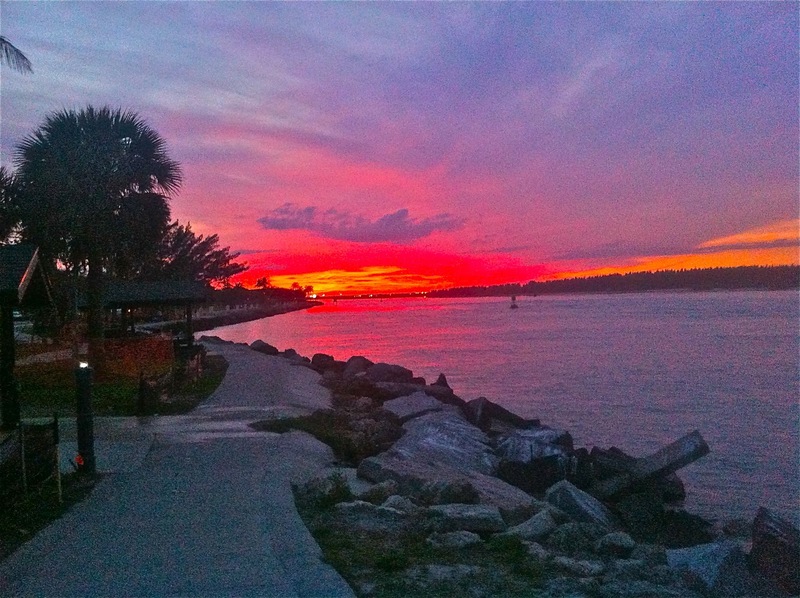 Photo three is courtesy of Robert Allen of Palm Bay who fishes the inlet just about every weekend. This past weekend Robert hooked up with a monster Bull Shark off the south jetty. Robert was using a Penn 9/0 Penn on a roller tip/roller feed rod with about 850 yards of 150 lb. power pro braid with 150 yard of 100 lb. fluorocarbon top shot. Using a leader that was 4' of 49 strand 480 lb. wire, he floated a hand built float rig made out of an old crab pod buoy with a whole Bluefish on the outgoing tide. This bad boy hit within 100 yards of the rocks of the south jetty about 5 p.m. 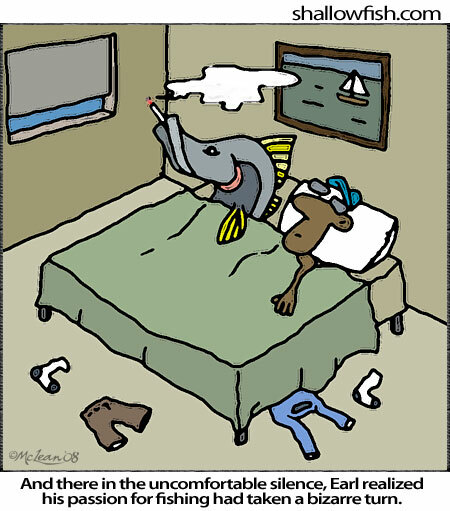 He ran out 800 - 900 yards before Robert could turn him, then Robert and his buddy Mike fought him for two hours before landing him on the beach. The Bull Shark was 235 lbs. and 7' 4" long.! Photo four features Jose Dore of Palm Bay with a nice Sheepshead that was landed last Thursday. The trout fishing was good yesterday south around Bear point to the power lines on the east side of the river soft baits have been the best. The pompano fishing was good around the south jetty along with a few flounder live shrimp and clams are working very well. Snook fishing at night continues to be good around the bridges and the jetty on jigs and a few fish on live bait during the day.